You what the best kind of stuff is? FREE stuff! 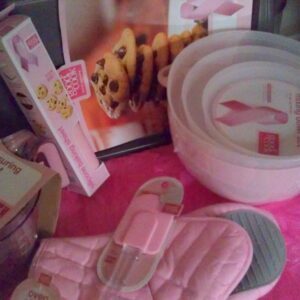 After months of patiently waiting I got my FREE breast cancer baking set from Proctor & Gamble. So get this, I bought $25 in P&G products…that we use anyway…sent in my receipt with the request form and brown boxed filled with all these goodies showed up! Score!! Okay, I’m better now. I had to tell someone who could appreciate the awesomeness of this haul before I exploded. Now, dessert! If I’ve never told you, I think cupcakes are little rays of sunshine in our world. Cupcakes are why I’m so excited that I was able to guest post for Kim of Cups by Kim! I love her blog. Kim always has such great cupcakes and savory cup recipes. This is why we are bloggy friends. We both love food! Since Kim was gracious enough to have me on her blog, I figured dessert was in order. Dessert makes me happy. And happy people are fun to be around! Stir together flour, sugar, cinnamon, and salt. Cut shortening in with a fork until the pieces are the size of small peas. Stir in eggs. Blend in the vinegar and water. Turn dough onto a lightly floured surface and knead until smooth and elastic, about 5 minutes. Add additional flour, if needed, to get a smooth dough. Wrap in plastic wrap and refrigerate 30 minutes. Roll out dough to 1/8″ thickness. Cut out 3″ circles from the dough. Re-roll and cut the dough as needed - you want a total of 10 circles for 4 parfaits. Heat oil on medium-high heat in a large saute pan. Fry dough circles until light golden brown, 3 to 4 minutes, turning once. Remove cooked circles to a paper towel to drain. Cool circles completely. Stir together ricotta, powdered sugar, and vanilla until well combined. Stir in half the chocolate chips, be careful not to over mix. Whip heavy cream to stiff peaks, fold into filling mixture. 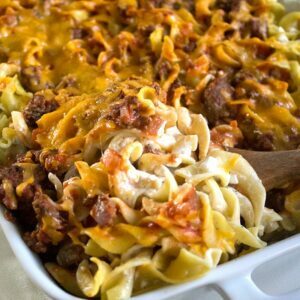 Chill filling for 30 minutes. 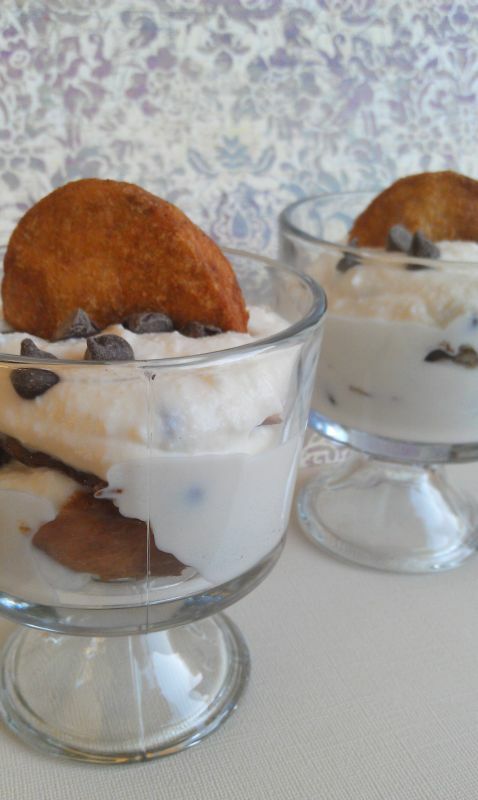 Break up one cannoli shell circle in the bottom of each of four parfait cups. 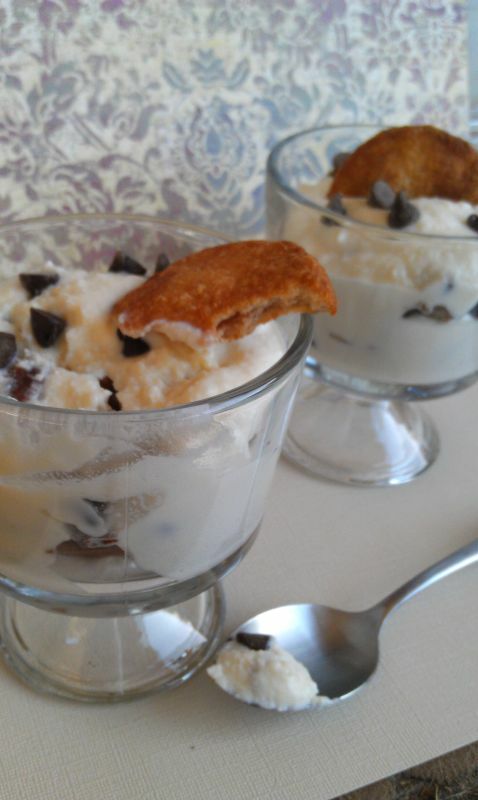 Top shell with two heaping spoonfuls of cannoli cream. Sprinkle with a few chocolate chips. Repeat layers once more ending with chocolate chips. Break the two remaining cannoli shell circles in half. Place on half, broken side down, into the top of each parfait. Thanks again to the amazing Kim for having me. I hope you all had as much fun as I did! 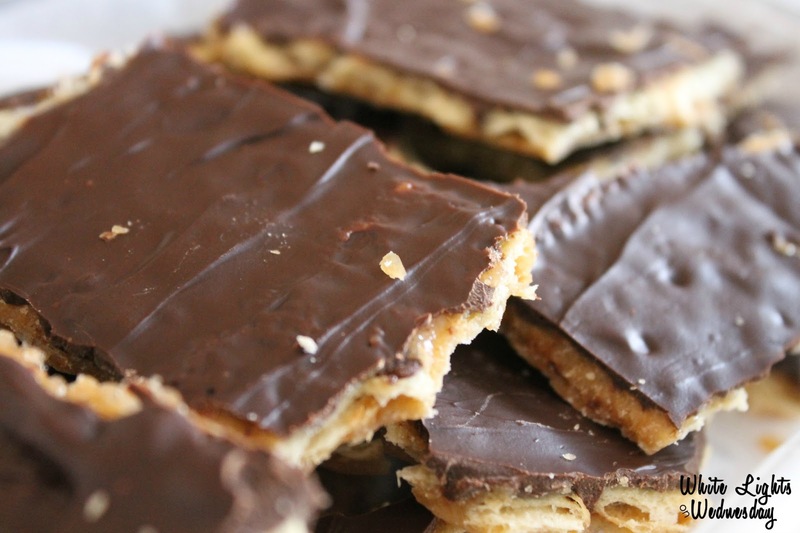 Don’t forget to stop by Kim’s blog on Sundays for her recipe link party. There are always yummy sounding goodies to check out. Total score! I'm jealous too! And, now I'm hungry and I want one of those delicious looking parfaits! 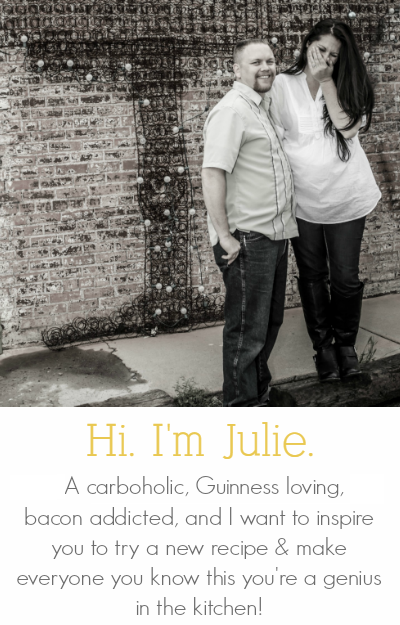 Thanks for the shout out Julie!! Just signed up for the blog swap! Those cannoli desserts look delish! Your newest follower, Kim. Love to have you stop by and follow back if you'd like! Dang! Desserts and free stuff. Your parfaits look like I could order them in a restaurant. Thank you for linking! Oooh, I love cannoli's. I can only imagine how awesome these parfaits are. THanks for sharing at our party this week. 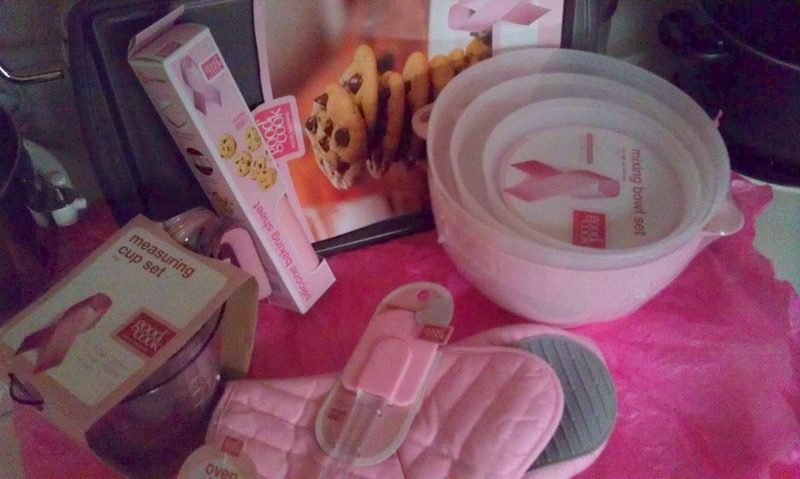 Love all the awesome Pink baking stuff! Those Cannoli Parfaits looks amazing! I'll take one now please 🙂 Thanks so much for linking up to Creative Thursday this week. I can't wait to see what you link up next week. Have a wonderful weekend. Those sound heavenly! And that's a great haul. I totally need to start doing that. I love free stuff! Featuring this tomorrow on my blog! Thanks for sharing at Must Try Monday! 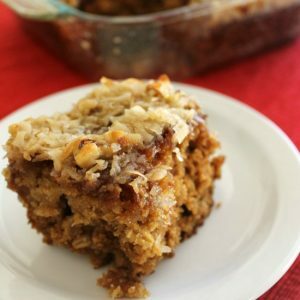 Thank you so much for linking up this yummy dessert at my Unveil Your Genius link party last week! I hope you party with me again soon! These look absolutely amazing! I wish I could eat your picture! Thank you so much for such a fabulous recipe.